What is civil engineering? It is one of those branches of knowledge which properly take their places both amongst the sciences and the arts; for a science consists of a collection of general principles or truths relating to any particular subject, while an art are the application of those principles to practice, for the purpose of affecting some particular object. The science of Civil Engg, then, informs us of the general principles of mechanics and construction, and teaches us in what to ascertain the strains to which every part of a structure will be exposed, and of the dimensions and proportions which should be given to each, in order that they may be able to sustain such strains without injury. And the Art of Civil Engg consists in the application of these principles to the actual construction of various works, and their judicious use and modification to meet the several contingencies which arise in practice. In general, it is the branch of engineering which deals with the planning, design, construction and maintenance of the structures like buildings, roads, bridges, canals, dams, water supply and treatment systems etc. It has a broader spectrum and comprises of many sub-disciplines under it. The branches of civil engineering are: structural, construction, geotechnical, urban/town/municipal, environmental, transportation, surveying, water resource, tunnel, earthquake, material and coastal. The civil engineering profession recognizes the reality of limited natural resources, the desire for sustainable practices (including life-cycle analysis and sustainable design techniques), and the need for social equity in the consumption of resources. Surfacely saying, the basic responsibilities of a civil engineer is to plan and design a structure and analyze its various aspects, make a regular inspection in the site to ensure that the construction is going according to the plan and to make the necessary amendments in the project if required during the course of construction. 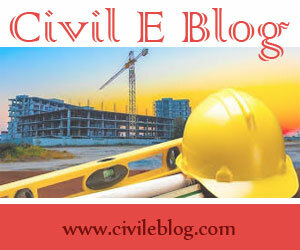 Civil engineer has to make sure that the project is cost effective and structure is of required strength and safety. The civil engineer holds the safety, health, and welfare of the public paramount. Civil engineering projects and systems should compliance with governmental guidelines and regulations; should be built economically to function properly with a minimum of maintenance and repair while withstanding anticipated usage and weather; and should conserve energy and allow hazard-free construction while providing healthful, safe, and environmentally sound utilization by society. To know more about job role, duties, reponsibilities, qualifications, skills or trainings required, you can read this job description of civil engineer. Talking about the progressive development in the field of civil engineering, in early human days, it was limited to construction of roads and building, but with advancement in science and technology, and with development of human civilization, this field has made a significant leap. From high-rise buildings to huge massive dams, from large tunnels to canals and bridges, the scope of civil engineering has magnificently broadened with time. To know the stretch of civil engineering development view our page on Megastructures.